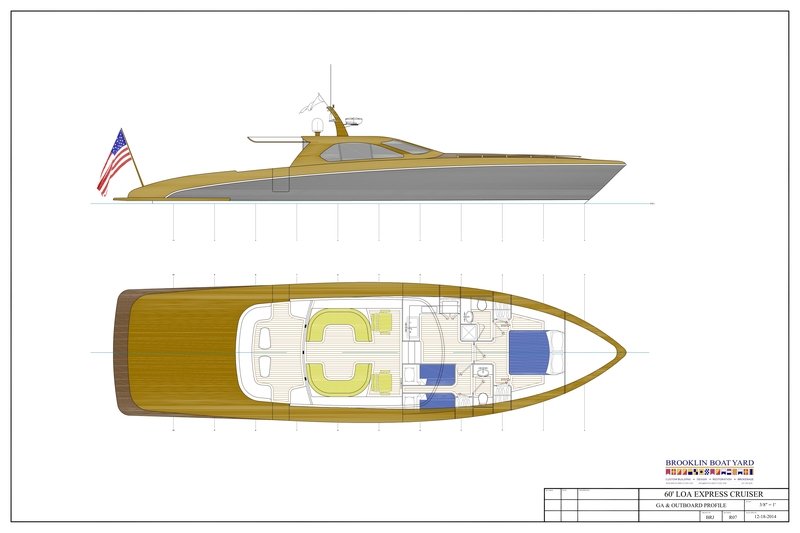 The design brief for this project specified a luxury dayboat capable of day long cruising at high speeds without compromising comfort. Easier said than done. 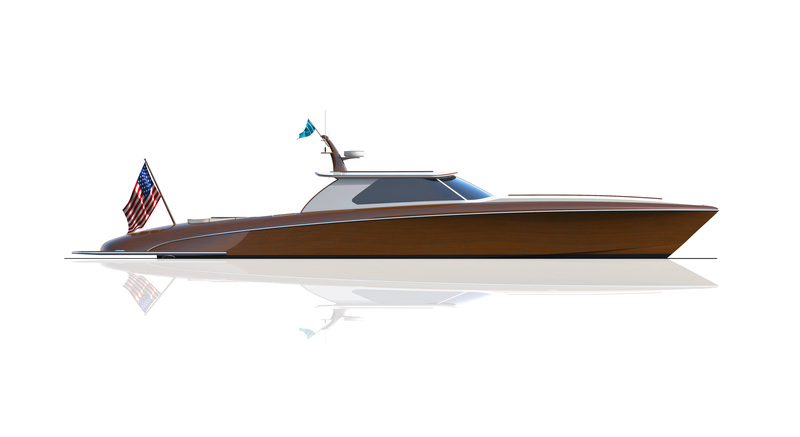 We asked Michael Peters, master of the performance sport boat, to design a hull that would provide a comfortable ride at at high speeds. The biggest hurdle to our goal was weight. 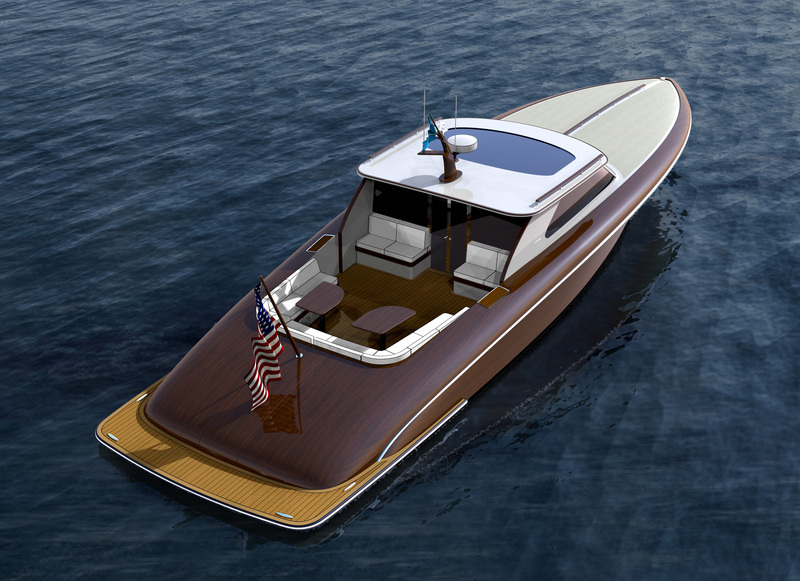 The hull construction is a combination of cold-molded techniques and carbon fiber composites, enabling us to keep the displacement low while efficiently using one-off build techniques. 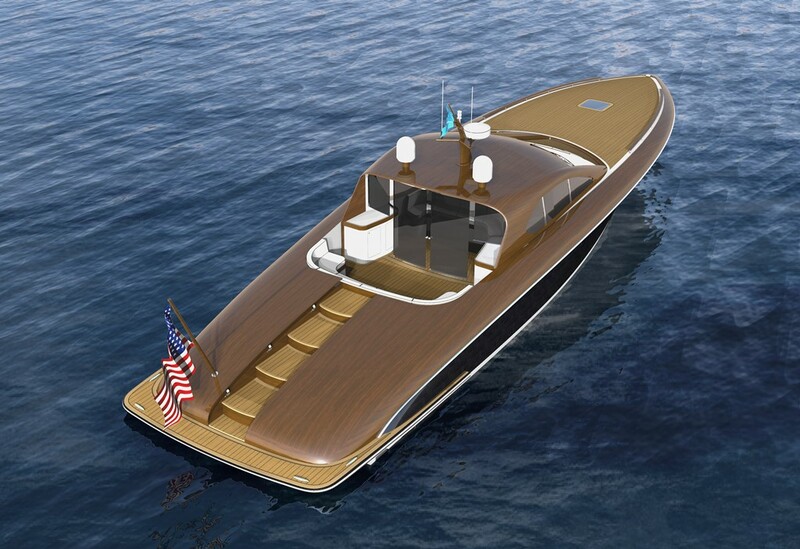 The combination of indoor and outdoor cockpit spaces make this boat comfortable while flying across the water and while lounging at the dock. The yacht is full of little details that set it apart, such as the covered steps to the swim platform that appear at the push of a button. 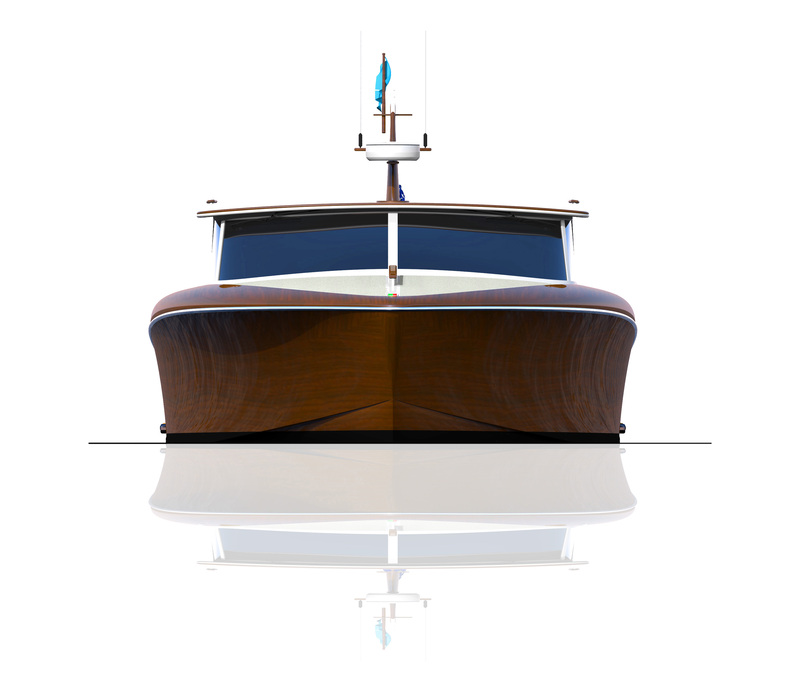 Contact us to discuss customization options for your new build or view more powerboat designs.